This first photo was submitted to me by David Miller. Gunnar Hansen confirmed that the person attending to the corpse is Tobe Hooper. 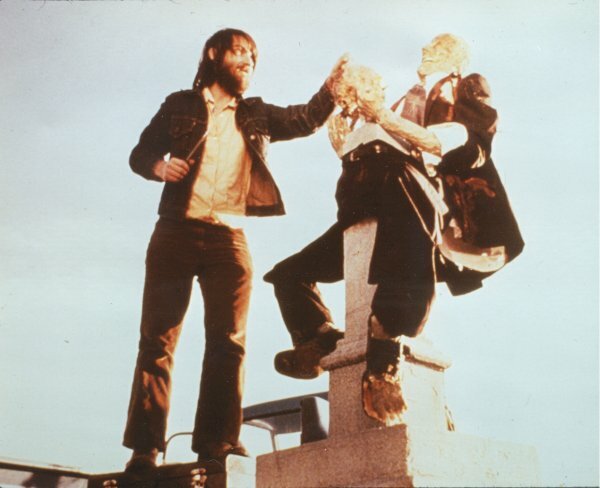 Brad Shellady has said that Bob Burns did not create the corpses for the film. But that Tobe made them himself. 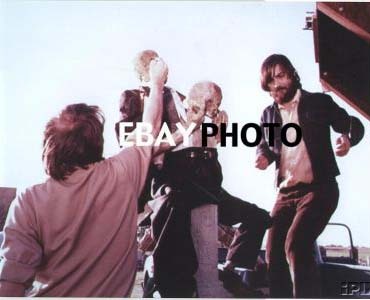 This photo was found on an eBay auction by Chappy Taylor.